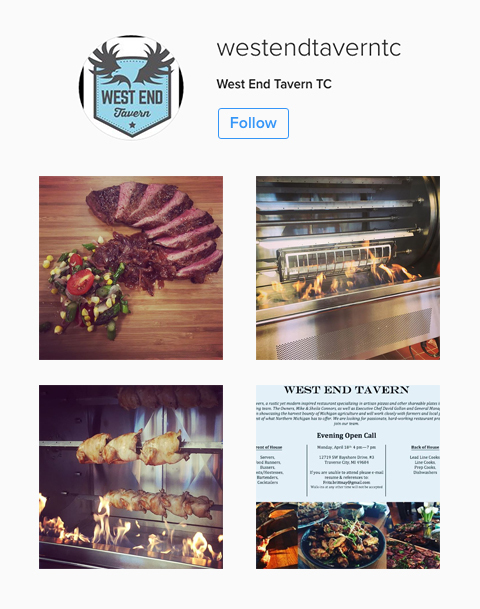 Whether you prefer an elegant dining experience, or a casual drink on the patio, Traverse City’s West End Tavern will never fail to satisfy your inner-foodie. Our unbeatable cuisine borrows freely from the very best the Traverse City has to offer. From the greens in our salads, to the meats in our pizzas, we select only fresh products that we know were produced with high quality. We strive to not only exceed your expectations of quality food, but also service and atmosphere as well. Our extensive menu includes not just gourmet wood-fired pizzas, but a long list of many other comforting entrees! For us it will always be about combining gourmet flavors with the perfect balance of indulgence and nutrition. In this way, you can enjoy West End Tavern in a way that fits your mood and style of living! We love helping our loyal customers enjoy our food as much as possible – which is why we created our rewards club. Sign up today to receive exclusive offers made just for you! Even though the restaurant is new, it is already making quite a name for itself. We went upon a recommendation from a friend, and couldn’t have been happier! Our food was delicious, and the staff was very polite and friendly. Will definitely be back! - Marissa A. 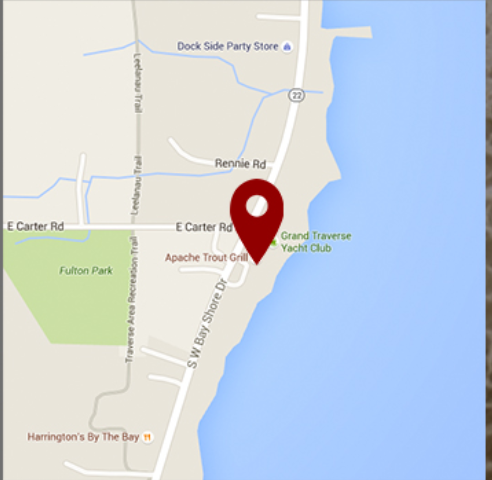 We visit Traverse City often, and we were excited to try out this new restaurant. It did not disappoint! Such a relaxing evening! The view was perfect, and everyone in our party was so happy with the food. Can’t wait until we return! - Luke G.
12719 S. West Bayshore Dr.
©Copyright 2016 West End Tavern. All rights reserved. Powered by Restaurant Logic.